With an evolving telecommunications industry and a focus on the future, Big Bend Telephone Company has changed its’ name to BBT. The new BBT – which includes Big Bend Telephone and its affiliate Big Bend Telecom – are focusing on growth. “As our family of companies continue to evolve and change with the expectations and needs of our customers, so does our name. 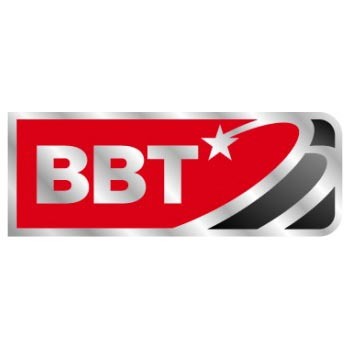 BBT combines the past with the present and takes us into the future of communications,’’ said Russell “Rusty’’ Moore, BBT’s general manager and chief operating officer. Founded in 1960, BBT is a third-generation, family-owned company based in Alpine. BBT’s service area spans some 17,594 square miles, which is larger than nine states. With a solid team of 54 employees, BBT serves about 5,000 access lines – some .25 customers per square mile – in an area characterized with rocky, mountainous terrain and unpaved roads. BBT serves some 485 miles of the Texas-Mexico border. BBT through its incumbent local phone company provides voice and advanced broadband services to consumers, businesses, schools and state and federal government customers throughout the Big Bend region. BBT’s competitive local exchange carrier affiliate provides advanced services such as broadband, Voice over Internet Protocol (VoIP), hosted voice solutions, metro ethernet and managed network services. As BBT grows, it has expanded and now serves Alpine, McCamey, Fort Stockton, Valentine, Fort Davis, Marathon, Marfa, Del Rio, Eagle Pass, Terminal and Uvalde. With the business challenges that come with serving a rugged and sparsely populated region, BBT is deploying cost-effective strategies, equipment, and technology to provide voice and broadband service. BBT continually looks for ways to scale and adjust its staffing to meet the evolving demands of its business. One strategy is to deploy highly skilled contractors to construct larger fiber projects. This approach keeps full-time staff at a minimum while not compromising the integrity of the network investment. BBT operates a network that mixes copper, fiber, fixed wireless and satellite to provide high-speed broadband services throughout the craggy terrain. BBT has invested in more than 3,700 route miles of fiber and copper networks throughout its service area. “Broadband service is extremely important to our customers because cellular service is not there over the vast majority of our territory,’’ Moore said. In the Big Bend region – also known as the Trans-Pecos region – mobile phone service is spotty. BBT’s fiber network provides support for data and communications in the area, carrying wireless traffic via wired backhaul connections linking cell towers to voice and data networks that support everything from voice calling to machine-to-machine connections that make up the so-called Internet of Things. BBT also provides technology and communications infrastructure to support the federal and state institutions securing the border between the United States and Mexico. In addition to numerous checkpoints and U.S. Department of Homeland Security installations BBT also supports two ports of entry on the Texas-Mexico border – a crossing at Presidio and an immigration station located in Big Bend National Park between Presidio and Del Rio. The immigration kiosk at Boquillas Crossing is supported by fiber networks and transmits data to border agents in other locations who check travelers’ documents. BBT invests an average of 16 percent of gross revenues each year on fiber technologies and advanced communications services. This year, BBT is expected to invest about $5.2 million in deploying fiber and advanced communications technology. In looking at the future of rural telecommunications, Moore said rural local phone companies must adapt and become more nimble and efficient to meet the demands of today’s telecommunications industry.